Eden Hazard's dream move to Real Madrid this summer could be off if the Spanish giants manage to sign Paris Saint-Germain and top summer priority Neymar. Chelsea's Belgium international has flirted with a move to the Santiago Bernabéu for a number of years but so far has remained at Stamford Bridge. Serious questions have been raised about his future ahead of the summer transfer window as Hazard will have just one year left on his contract with Chelsea, meaning the club might have to cash in at the end of the season. 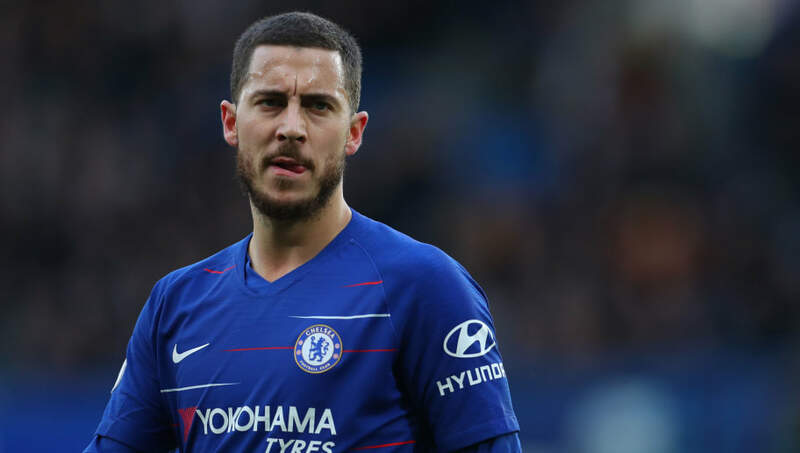 But The Sun now reports that Hazard is actually Real Madrid's backup target to Neymar and that the Chelsea talisman will have to play a waiting game this summer. Despite his admiration for Real Madrid in the past, Hazard has kept his lips sealed over his plans at the end of the season. That was until the Belgium international revealed that he has "made a decision" over his future earlier this week. Chelsea are understood to be aware of what Hazard's decision actually is. Although Real Madrid appear to be targeting Neymar as their first choice transfer target, it appears to be a deal which would be almost impossible to complete and that would go against what club president Florentino Pérez outlined last year. "We know very well that the international footballing landscape has changed in a dizzying way and we must adapt and face up to this new reality," Pérez explained regarding things like the increase in transfer fees. At the time of Pérez's comments, Hazard's rumoured move to Real Madrid last season was thrown into doubt. Although Lost Blancos aren't averse to spending big - teenager Rodrygo will arrive for €45m in the summer - they do appear to now be focusing their attention on younger players.